On the road to revenge, Oborren and his eccentric allies must face not only the terrifying supernatural threats of Helltowne, but also the insidious philosophy pushed by that accursed land’s red dwarf masters: Equalitarianism. Devils and darkness; red flags and tyranny abound, and it is up to the brave adventurers to stop Commissar General Noel and his machinations to ‘Abolish Humanness’, including his scheme to unleash a mighty weapon of the Ancients upon them all! But the vile plans of the red dwarves are not contained to Helltowne. Elfriede, the savages of Fjord Vallee, and others must work to free the land of Dinglesfuhr from the bizarre Glowing Spectral Personhood cult. Thanks to such supporters of Underreign, including the former leader of that land, Mekla, goblins were even invited into Dinglesfuhr! Now they have devastated it and subjected its inhabitants to a life of oppression, terror, and death. Set in the Night Skies Over Valhallow world of the fantasy future, Red Noon at Helltowne is the first book in the new Vale War trilogy. A map and comprehensive glossary are included for those new to this setting, so that they can immediately begin enjoying this amazing work. 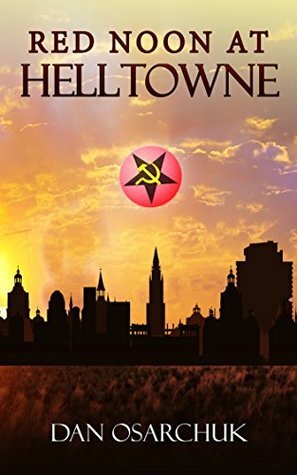 Red Noon at Helltowne: a must-read for fans of dark fantasy, action, humor, as well as saving the world from the lies and calamities of Equalitarianism. 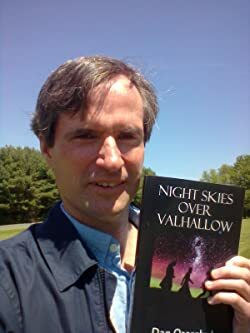 Dan’s writing is a unique blend of fantasy, philosophy, humor, mythology, social commentary, geopolitical intrigue, and metaphysical extrapolation. Readers looking for something “a little bit different” are encouraged to read Dan’s work. When not indulging his overactive imagination with writing, Dan enjoys spending time with his children and ruminating over why some things in our world are so strange today. He is an avid student of mythology, history, meditation, self-enquiry, preserving Western Civilization, as well as a number of other things. In the time of Ancients, there were all kinds of mechanics and things that made the world easier. But after Lights Out the world changed. Humans were not the only creatures. Now, many generations later, the red dwarves believe in Equalitarianism but want nothing more than to destroy all humans. There are other groups/cults that are also doing their part to make life unbearable for unbelievers also. Enter Oborren and his group of misfits that are more likely to kill each other than stop Commissar General Noel. I’m sorry to admit that I had a hard time reading this story. I’m sure part of it is that I can’t have any distractions. There are a lot of characters you are dealing with and although you might be able to figure out who is who in a scene once you leave and come back I had a hard time figuring out who someone was unless they really stood out like Noel or Cherry. I really liked this world and its origins. The characters were well developed and each had their own strengths and weaknesses they brought to this adventure. There is plenty of fighting, a great adventure, and some humorous spots. This is an epic fantasy story and will appeal to anyone that enjoys them. 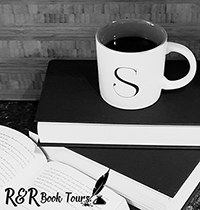 I received Red Noon at Helltowne for free from Virtual Author Book Tours and the author for free. This has in no way influenced my opinion of this book.